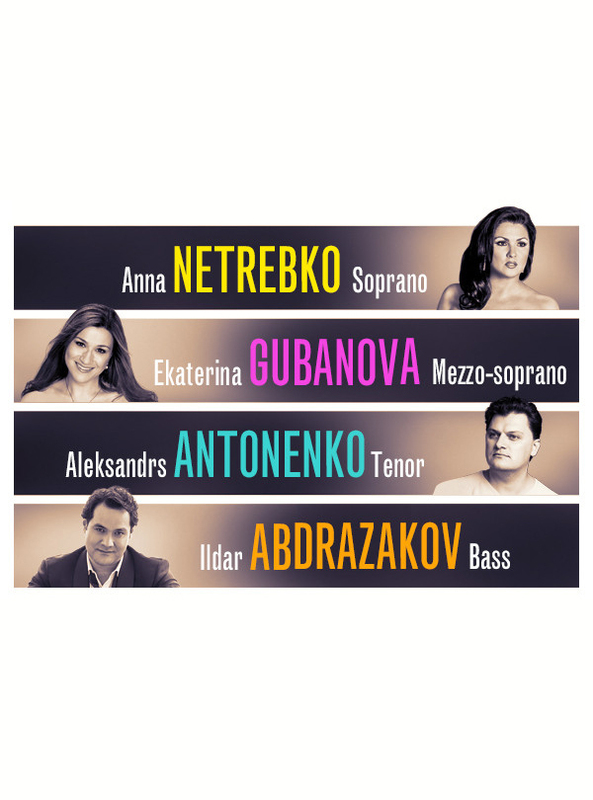 Uniting with colleagues Anna Netrebko, Ekaterina Gubanova, and Aleksandrs Antonenko on July 1, Ildar Abdrazakov commences aconcert tour to five cities across Austria, France, Russia, and the Czech Republic. Boasting a program of arias, duos, trios and quartets from Italian and Russian operas, the “Vocal Extravaganza” series is conducted by Marco Armiliato and produced by U-Live. After the opening night performance at the Vienna Konzerthaus, Ildar and company appear in a gala performance at the luxurious Château de Versailles on July 4, followed by visits to the Great Hall of Moscow’s Tchaikovsky Conservatory on July 7 and Prague’s Smetana Hall on July 10. Orchestras participating in the tour are the ORF Symphony Orchestra, Orchestre National d’Île-de-France, State Symphony Orchestra of Russia, and the Czech National Symphony Orchestra. On July 1 and 4, tenor Yusif Eyvazov steps in to replace Aleksandrs Antonenko, who is ill.